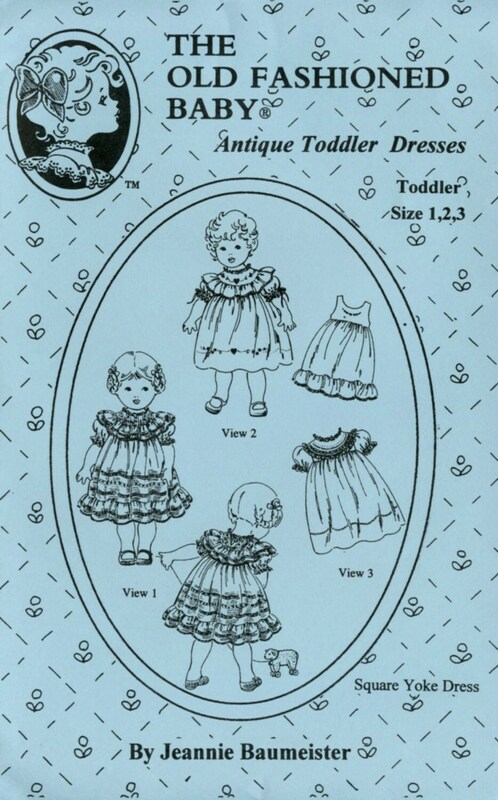 The Antique Toddler Dresses are reproductions of Baby Dresses worn in the early 1900's. Dress view 1 is a reproduction of a dress in the Louisiana State University Clothing Collection. 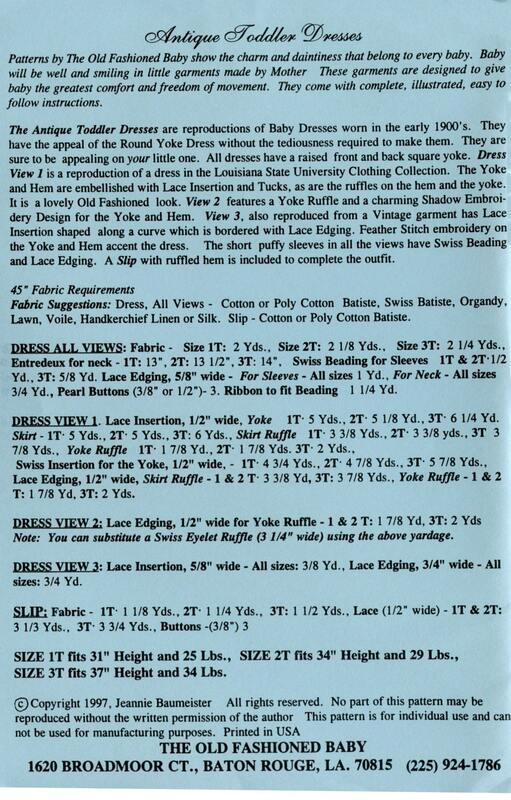 The yoke and hem are embellished with Lace Insertion and Tucks, as are the ruffles on the hem and the yoke. View 3 also reproduced from a Vintage garment has lace insertion along a curve which is bordered with lace edging. Feather Stitch embroidery on the yoke and hem accent the dress. All dresses have a raised front and back square yoke and short puffy sleeves with Swiss beading and lace edging. A slip with ruffled hem in also included. Love it! Great purchase! Will buy from this seller again.